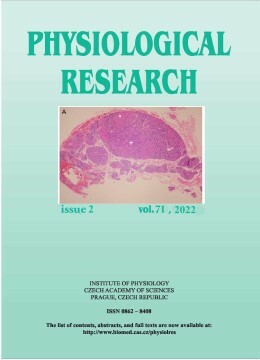 By signing this form, you (the author(s) or other copyright owner, such as your employer) agree to transfer to us (Institute of Physiology CAS Prague, the journal's publisher and owner) the copyright in the above article. Thus you give us the exclusive right to reproduce and distribute the above article ourselves throughout the world in printed, electronic, or any other medium. You agree that we may publish your article in the journal named above, and that we may sell or distribute it within the journal, on its own, or with other related material. Conflict of Interest concerns a relevant duality of interest (within previous 12 months) which had the author(s) with a company whose products or services are directly related to the subject matter of their manuscript. A relevant duality of interest includes employment, membership on the board of directors or any fiduciary relationship, membership on a scientific advisory panel or other standing scientific/medical committee, ownership of stock, receipt of honoraria or consulting fees, or receipt of financial support or grants for research. Company is defined as for-profit concern engaged in the development, manufacture, or sale of pharmaceutical products or biomedical devices or supplies.